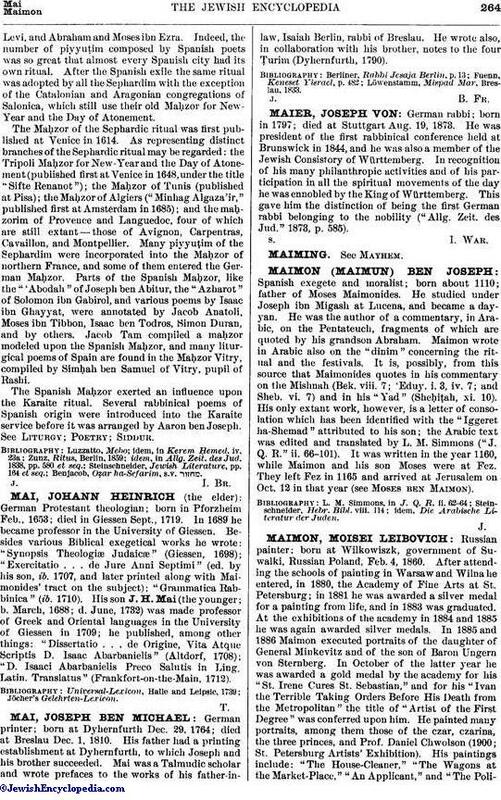 German rabbi; born in 1797; died at Stuttgart Aug. 19, 1873. He was president of the first rabbinical conference held at Brunswick in 1844, and he was also a member of the Jewish Consistory of Württemberg. In recognition of his many philanthropic activities and of his participation in all the spiritual movements of the day he was ennobled by the King of Württemberg. This gave him the distinction of being the first German rabbi belonging to the nobility ("Allg. Zeit. des Jud." 1873, p. 585).